Mayfair Darjeeling is located just opposite to the Governor's House on the Mall Road. 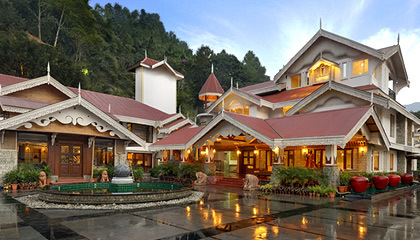 Mayfair Darjeeling is one of the most popular luxury hotels in Darjeeling. 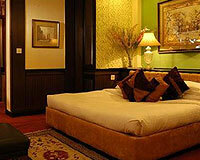 The hotel was once the summerhouse of Maharaja Nazagunj. Today it is a perfect luxurious getaway to rejuvenate the mind, body and soul in the serene and tranquil setting amidst soothing natural backdrop. The sumptuous luxury and unmatched service makes Mayfair Darjeeling amongst the best destinations to enjoy this lovely hill station. Mayfair Darjeeling offers 5 Attic Rooms with wooden floors and walls with sloping ceilings, 6 Deluxe Rooms, 20 English Style Cottages tastefully appointed with modern amenities. Tiffany: A multi-cuisine restaurant that serves variety of Continental, Chinese and Indian delicacies.